Leading Manufacturer of jute tape for textile industry from Kolkata. 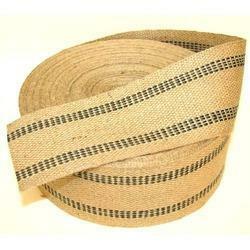 We are one of the leading manufacturers, suppliers and exporters of Jute Tape for Textile Industry. The offered jute tape for textile industry is very uniquely woven for catering to the textile industry. Our supplied jute tape for textile industry is highly liked and acclaimed by the clients, due to the eco-friendly fibre and simple design. Looking for Jute Tape for Textile Industry ?